Being detector users of about 20 years experience apiece, it had long been an ambition of ours to visit Rome and savour the glory that once belonged to this ancient city. Mo' gave us both the opportunity when she gave me the trip for my 50th birthday. We left for a three night, four-day break in March this year. We arrived in the early evening, threw our suitcase into the hotel room and dashed out straight away to try to see the Coliseum; it would be great if we could fit in a visit to this great monument that first evening. We made a mistake in following the directions of the hotel owner and, after a twenty-minute walk, ended up near huge arches, at one of the old Roman city entrances. These arches in themselves were very impressive and amazingly intact. The city walls appeared to go on, complete, for as far as we could see in the dark. We were suitably impressed. The Colosseum was built by the emperor Vespasian and was completed in 80 AD, one year after his death. It was initially known as the Flavian amphitheatre, later becoming the Colosseum, probably after the giant statue of Nero that once stood nearby. It is an immense building. It was built of concrete and tufa faced with travertine. It has four storeys counting the ground floor and the building rises to a total height of 159 feet. It has been estimated that 3.5 million cubic feet of travertine blocks went into its construction. To protect the spectators from the heat of the summer sun, the whole was topped off with a huge canvas awning pulled over the arena by a team of 1,000 men. We walked over to the base of the building, marvelling at the immensity of the building task undertaken by those men almost 2,000 years ago. The first thing we noticed was that each entrance archway had a number carved above the arch. Wow, each entrance was individually numbered, obviously facilitating the movement of the 55,000 people the Colosseum could hold. The spectators were seated in its terraces; women and plebeians (plebs) were confined to the topmost tier of seats. 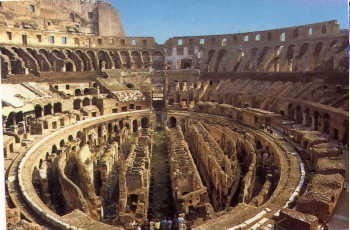 The southern side of the Colosseum was felled by an earthquake in 847 AD and became a quarry for building stone. In the centre of the amphitheatre would have been a wooden floor beneath which was a network of underground passages and rooms which housed the wild animals, slaves, workers and machinery for lifting scenic items such as trees and rocks. We left the Colosseum that evening and visited the next day, getting inside with an audio guide. We learnt that entrance to the Colosseum was free and given to the people as a gift by the current emperor. When the Colosseum was completed during the reign of Titus, the inaugural games continued for one hundred days! A total of 9,000 animals, including lions, tigers and elephants were killed during those games. Imagine the bloodshed during those three months. We wonder how many humans lost their lives during the same period. Finally, the building of the Colosseum was a huge engineering achievement for; it was built on the site of a lake, which was part of Nero's Golden House. 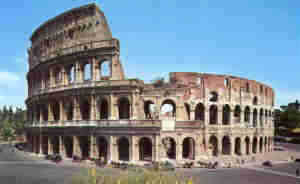 Once we had completed our tour of the Colosseum we visited the archaeological sites in the area. 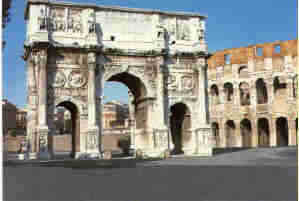 These included the Arch of Constantine, the Arch of Titus and the area of The Forum, the Roman market place. This took us the whole day and we were continually remarking throughout the day about the marvel of Roman building. After seeing many Roman remains in England, where walls, if you're lucky, stand a foot or two tall, we were constantly gob-smacked by Rome's 15 feet thick walls, some still standing forty feet or more high. Our plan included a visit to Pompeii and this we decided to do, under our own steam, as the company tour was very expensive. We got up early and were on the train to Naples by 8 o'clock. We arrived in Pompeii about 11 am. Pompeii is one of the most significant proofs of Roman civilization and, like an open book, provides outstanding information on the art, customs, trades and everyday life of the past. The city stands precisely as it would have been on 24th August 79 AD when a devastating eruption of Mount Vesuvius buried Pompeii in a thick layer of ash. The city was an active and splendid Roman trading centre and the remains so far excavated are a fascinating glimpse into Roman life at the time of the eruption. Mo' and myself paid a guide to take us around for a period of about two hours. It was money well spent. Our first stop was the amphitheatre, remarkable for its state of preservation. This was built on the outskirts of Pompeii in 80 BC. It could hold between 12,000 and 20,000 spectators. It was probably the first of its kind and probably represents the prototype for buildings of this kind. Most amphitheatres built followed this design. From here we saw the gymnasium built as a training ground for gladiators. A short walk led us to the Via Dell'Abbondanza, the city's main road and the place where the new emerging class developed those commercial activities which were to make Pompeii one of the most important centres in Campania. The view along this road was amazing. We felt we had gone back in time to 79 AD for the walls of the buildings came right to the walkway the only thing missing from most of the buildings was the roof, which would have collapsed with the weight of 12 - 15 feet of hot ash. 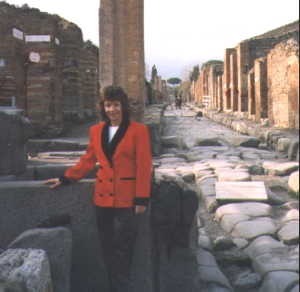 Along this street and all the other streets in Pompeii were numerous houses, which had been opened to the public. You walk through them all on your visit, marvelling at the wall paintings, the mosaics, the statues, and the baths and marvelled at the standard of living enjoyed by most, especially the wealthy. There was so much to see and take in that a short article like this can never do the place any kind of justice. 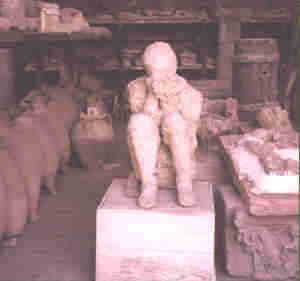 One of the first excavators at Pompeii, Fiorelli, realised that as the corpses and other objects decomposed within the layers of ash, they left an empty space. Fiorelli realised that if these spaces could be found, they could be cleaned of any residual matter and then the cavity filled with plaster. Once this had set, the ash could be removed to leave the cast of the shape of whatever had lain beneath the ash. The result of this work is a series of realistic and dreadful images captured at the moment of their demise. 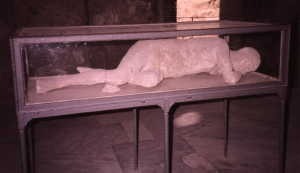 About Pompeii are numerous plaster corpses which have captured the horror of the moment of death, you can see the suffocated cries of their mouths and the terror-stricken expressions on their faces. A group of 13 were found huddled together in the Garden of the Fugitives. There is still a large area of Pompeii that remains unexcavated. Each season new houses and workshops are excavated and opened to the public. There is obviously a vast amount of unexcavated treasure yet to be discovered in the form of wall paintings, pottery and everyday items of the type that have been found all over this fascinating town. Our day trip to Pompeii had almost come to a close but there was still one thing that I wanted to do. Mo' and myself have been partners and have shared our lives together for quite a number of years but we have never got around to getting married. I had a diamond ring in my pocket and decided to propose marriage to her in Pompeii amphitheatre. The ring contains seven diamonds; one for every hill Rome was built on. All I had to do was to get Mo' to walk back there. 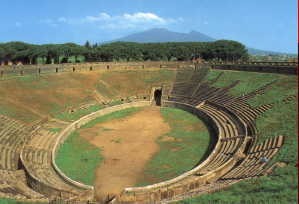 That took some doing and almost led to our falling out, as we were both exhausted after trekking around the many streets of Pompeii and walking around Roman ruins, it took all my powers of persuasion to get her to walk all the way back to the amphitheatre. We went inside and walked to the top tier. There on bended knee, with my heart banging in my chest, I asked Mo' to marry me. I didn't think for one minute she would say, "No" but my brain kept asking, "What if?" I'm glad to say she said, "Yes". We'll be getting married some time next year and have chosen to visit America for our honeymoon. Our final day was spent in Rome catching up on those archaeological sites we had missed. We had to visit the Pantheon; we had read so much about this huge domed building, said to be the best-preserved Roman building in the world. We were not disappointed, it was gi ... normous and very impressive. The Pantheon stands on the site of Agrippa's temple built in 27 BC. This was entirely rebuilt by Hadrian and was roofed by an enormous concrete dome 142 feet across, larger even than the dome of St. Peter's in the Vatican. The reason it stayed intact and virtually unspoiled was that in the sixth century it was converted into a church and church law prevented the robbing of stone from consecrated ground. 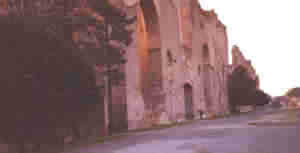 The Baths of Caracalla survive today as one of the most impressive monuments of Imperial Rome. They were already considered a wonder when the 'Life of Caracalla' was written towards the end of the 4th century. We arrived too late to enter inside but a walk around the outside walls made for another unique experience - they were immense and often fifteen feet thick and standing over fifty feet high. 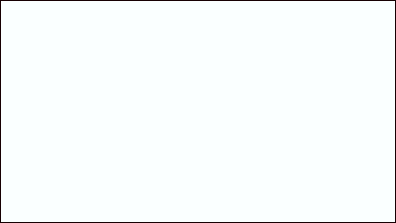 The photo below shows me outside one of the sidewalls of the baths. Note my small size compared with the height and thickness of the walls. We have since seen pictures of how the baths would have looked in their day and can only say that to produce such opulence and luxury today would have cost many millions of pounds. The Romans achieved many of their wonderful works through no-cost labour i.e. slaves. We were now on the final leg of our trip but managed to quickly fit in a trip to the Catacombes, with which we were not impressed. The Catacombs themselves were to be marveled at i.e. the practise of burying the dead in underground passageways because the ground at the top was too expensive and too valuable to be used for cemeteries - it was the tour that was too rushed because it was almost closing time. There are many miles of Catacombs beneath Rome and if visiting the city, you must try to fit one in but not after 3 PM. 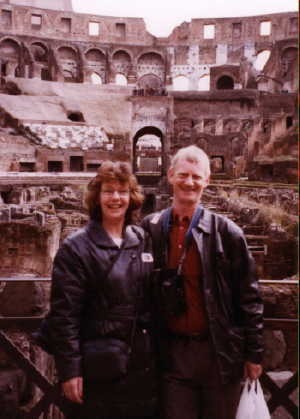 Our visit to Rome was a tremendous experience and one that equated well with our hobby of metal detecting. It brought our Roman coins back to life in a way we could never have imagined. We'd now walked along the same streets as the emperors on our coins, climbed the same steps, seen the same sights. We'd walked the streets of Pompeii and seen where these Roman traders had lived and worked. 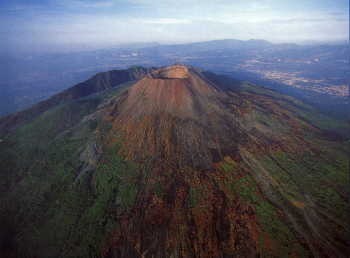 We'd even seen the look of death on the faces of Romans as Vesuvius showered them with thick, hot, choking ash. We'd travelled back in time on our engaging trip to Rome.